Strong summer: Last week's North East blizzard left millions of people in the mood for summer. Although Mother Nature can't deliver summer until its official Wed., June 21 start at 12:24 a.m./ET, Hollywood can and will be pumping up the action to summertime levels with high profile event films much sooner than that – starting with Disney and Marvel's May 5 launch of "Guardians of the Galaxy Vol. 2." Actually, moviegoers don't even need to wait until May for summer event films. Last weekend saw the boxoffice heat move into summer territory with Disney and Mandeville Films' PG rated 3D live action animated fantasy musical "Beauty and the Beast" opening to a record setting $170 million. Until last weekend, the record for the biggest March domestic opening ever was held by "Batman v Superman: Dawn of Justice," which arrived Mar, 25, 2016 to $166 million. It went on to do $330.4 million (plus nearly $543 million internationally). Disney said Sunday morning that "Beauty's" opening was "the #7 debut of all time, the #1 March debut ever, and the #1 PG movie debut of all time. It's also the highest domestic debut ever for a Disney Live Action title and the seventh Walt Disney Studios release to open over $150M. The film is Fresh on RottenTomatoes and earned an A CinemaScore from audiences. "With an estimated $180M internationally, the global opening lands at an estimated $350M for the #2 March debut of all time both globally and internationally. 'Beauty and the Beast' opened as the #1 film in virtually all markets. It enchanted UK audiences to become the highest grossing 3-day opening weekend of all-time for a PG movie with $22.8M, while China opened to an estimated $44.8M, making it the biggest ever Disney Live Action opening weekend of all-time and representing a strong 67% market share. The film has yet to open in France, Australia, and Japan." Next weekend, Disney said, "sees openings in France and Australia, along with Belgium, Hungary, Israel, Trinidad and Argentina." It opens in Japan Apr. 21. "Beauty's" domestic audience, per Disney, was 60 percent male and 40 percent female. Families accounted for the largest percentage of the audience at 50 percent. Thirty-nine percent of those on hand were adults and 10 percent were teens. As for moviegoers' age groups, Disney said the breakdown was: 12 & Under – 22%; 13-16 – 13%; 17-25 – 17%; 26-34 – 21%; 35-49 – 18%; and 50-plus – 10%. "Beauty's" strength also reflected a great showing in IMAX theatres both domestically and internationally. IMAX said Sunday that the film "waltzed its way to a record-setting $21 million on 1,026 IMAX screens worldwide in 56 markets, including $12.5 million on 377 North American IMAX screens and $8.5 million from 649 IMAX screens internationally. This level of ultra boxoffice beauty isn't likely to be a recurring event, however, until Hollywood's early summer season actually is underway. Looking ahead, this summer boasts some high profile franchise product that should generate stronger ticket sales than last summer when a number of big budget sequels fell flat at the boxoffice. Here's a quick look at some of the titles arriving in May and June that should keep the multiplexes sizzling. MAY 5: Disney and Marvel's 3D sci-fi action adventure "Guardians of the Galaxy Vol. 2" will get summer off on the right foot. The franchise's first episode opened Aug. 1, 2014 to $94.3 million and did $333.2 million domestically, making it the summer's top grossing domestic film. It also did about $440 million internationally. At the time, "Guardians" was a lower tier Marvel comic dating back to 1969, whose space hero misfit characters weren't well known in the U.S. and even less so abroad. Today, it's a blockbuster franchise that's a safe bet to dominate the early summer global marketplace. It should play best to both younger and adult men. 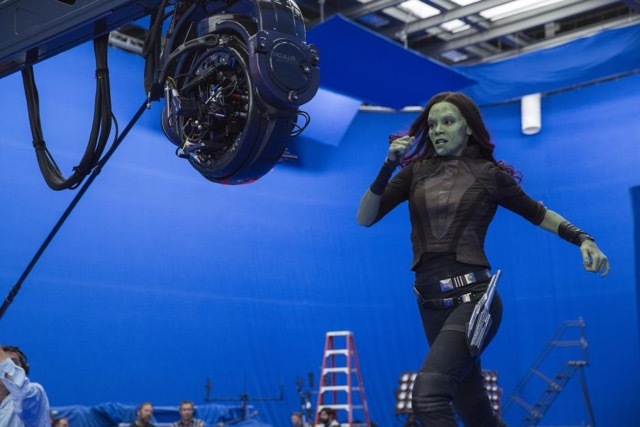 Directed by James Gunn ("Guardians of the Galaxy"), its stars include Chris Pratt, Chris Sullivan and Karen Gillan. MAY 12: Warner Bros. and Village Roadshow Pictures' PG-13 rated 3D action adventure "King Arthur: Legend of the Sword" is an original, but revolves around an iconic legendary character long familiar to moviegoers. This is a younger take on the traditional Arthurian storyline and it should play well to younger men. It's meant to be the first of a six episode franchise, so there's a lot riding on this for WB. Directed by Guy Ritchie ("Sherlock Holmes"), it stars Charlie Hunnam, Hermione Corfield, Katie McGrath and Jude Law. MAY 26: The four day Memorial Day holiday weekend that begins Fri., May 26 is one of the summer's prime pieces of movie distribution real estate. It's the perfect port for Disney and Jerry Bruckheimer Films to set sail from with their 3D action adventure comedy "Pirates of the Caribbean: Dead Men Tell No Tales." It should play best to men, but should also do well with women. Directed by Joachim Ronning ("Kon-Tiki") & Espen Sandberg ("Kon-Tiki"), its stars include Johnny Depp, Geoffrey Rush and Javier Bardem. The ultra high profile franchise's first four titles grossed $1.3 billion domestically. Episode four, "Pirates of the Caribbean: On Stranger Tides," opened May 20, 2011 to $90.2 million and did $241.1 million domestically. While it was the lowest performing of the franchise episodes domestically, "Tides" made much bigger waves internationally – with nearly $805 million in ticket sales. This strong imbalance in favor of international over domestic grosses is a consistent pattern with prime summer franchises, as is clear in the results for other titles noted here today. JUNE 2: June will get a superhero start from Warner Bros., DC Entertainment and Dune Entertainment's 3D fantasy action adventure "Wonder Woman." 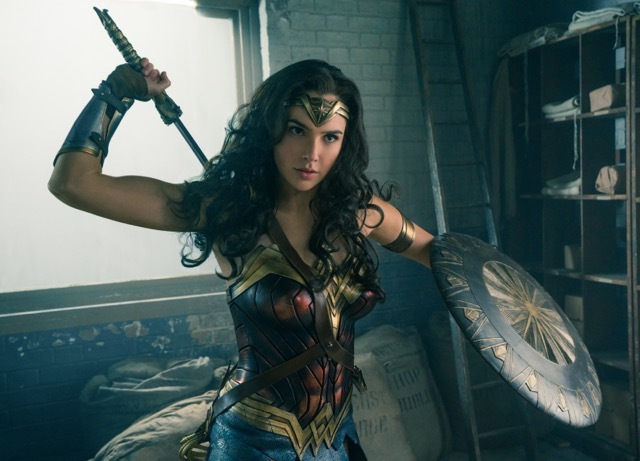 Superhero comic book titles typically play best to men, but "WW" should do well with women since it revolves around a rare comic book universe super heroine. Directed by Patty Jenkins ("Monster"), it stars Gal Gadot in the title role, Chris Pine and Robin Wright. Gadot first wore her "WW" spandex last summer in a small intro role in "Batman v Superman: Dawn of Justice." JUNE 9: Universal and the Sean Daniel Company's "The Mummy" stars Tom Cruise in a reboot of the action adventure franchise whose four titles since 1999 have grossed $550.9 million domestically. The most recent episode, "The Mummy: Tomb of the Dragon Emperor," opened Aug. 1, 2008 to $40.5 million and only did $102.5 million domestically -- hence the need for a series reboot. It did, however, pull in nearly $299 million more from international theatres. The reboot, which should play best to adult men, is directed by Alex Kurtzman ("People Like Us") and stars Cruise, Sofia Boutella and Russell Crowe. Cruise reportedly was originally in the running to play the American adventurer who awakened the long-sleeping mummy Imhotep in the 1999 reboot of "The Mummy." However, director Stephen Sommers (1994's version of "The Jungle Book") went instead with Brendan Fraser. Cruise sounds like perfect casting for the new reboot. The series' roots are in the now classic 1932 horror film "The Mummy," directed by Karl Freund ("Mad Love") and starring Boris Karloff as Imhotep. In the new reboot, the awakened mummy is, for the first time, a female – the ancient princess Ahmanet (Boutella). JUNE 16: Disney and Pixar Animation Studios' 3D animated comedy adventure "Cars 3" should benefit nicely from being the only new family film in mid-June's heavily adult marketplace. Directed by first time feature director Brian Fee, a storyboard artist on the franchise's first two episodes, its voice stars include Nathan Fillion, Armie Hammer and Owen Wilson. The series' first two episodes grossed $435.5 million domestically. "Cars 2" opened June 24, 2011 to $66.1 million and did $191.5 million domestically. It also did nearly $371 million internationally. JUNE 23: Paramount and Hasbro's sci-fi action adventure "Transformers: The Last Knight" is the fifth episode in the franchise that began in 2007 and has grossed $1.3 billion domestically since then. The franchise's last episode, "Transformers: Age of Extinction," opened June 27, 2014 to $100 million and did $245.4 million domestically. It also did nearly $859 million internationally. 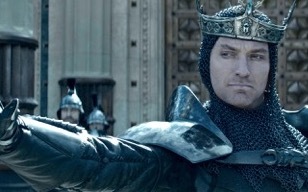 The new episode, "Knight," reportedly cost $260 million to produce. It's directed by Michael Bay, who's directed all five episodes to date, and stars Mark Wahlberg, Gemma Chan and John Goodman. It should play best to men. JUNE 30: Universal and Illumination Entertainment's 3D animated action adventure "Despicable Me 3" is directed by Kyle Balda ("Minions") & Pierre Coffin ("Despicable Me 2," "Minions"). Starring are such voices as: Kristen Wiig, Jenny Slate and Steve Carell. It should play best to family audiences. The first two "DM" episodes plus the series' spinoff "Minions" grossed $955.6 million domestically. "DM 2" opened July 3, 2013 to $83.5 million and did $368.1 million domestically. It also did nearly $603 million internationally. Although "DM3" is coming into the marketplace just two weeks after Disney and Pixar's 3D animated "Cars 3," it should benefit from Fri., June 30 being the start of the extended five day weekend ending with July Fourth. With the holiday falling on a Tuesday this year, Monday will be a day off from work for many people. Bottom line: Needless to say, a lovely "Beauty" mark was left on last weekend's boxoffice as all films in the marketplace grossed a mammoth $257 million, per comScore – up a staggering 96 percent from $131.1 million this time last year. 2017's $2.501 billion boxoffice total to date, according to comScore, is up 5.8 percent vs. $2.363 billion this time last year. This is a big change from how the year was looking earlier this winter. A week ago, comScore's tracking showed 2017 up by just 0.3 percent, thanks mostly to strong openings for "Logan" ($88.4 million on Mar. 3) and "Kong: Skull Island" ($61 million on Mar. 10). The weekend before that 2017 was down 1.9 percent and the weekend before that had 2017 off 2.7 percent.